Come live maintenance free in Apollo Beach! 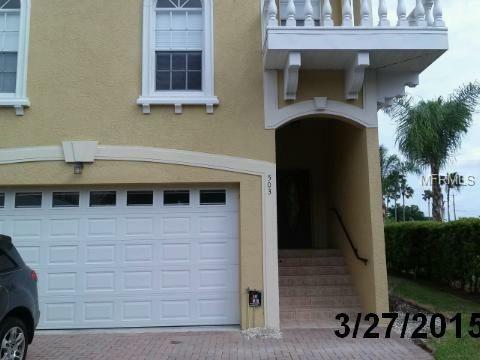 Super Clean updated townhouse with a huge screened in patio overlooking a pond. Freshly painted, tile in living areas, carpet in bedrooms, huge master suite with extra large walk in closet. Plenty of storage high soaring ceilings and two washer and dryer connections. The townhouse also comes with an internal vacuum system. Beautiful granite countertops with newer appliances in the kitchen. Listing provided courtesy of E Home Tampa Bay Inc..